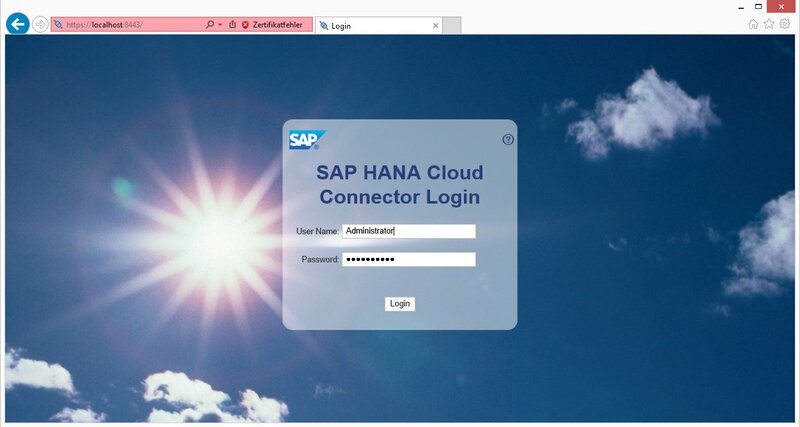 You are interested in Transparency about your Interface Landscape on SAP PI/PRO and would like to receive an Interface Catalog with all your flows including their routing and mapping information as well as a Channel Catalog which shows you all your Communication Channels? 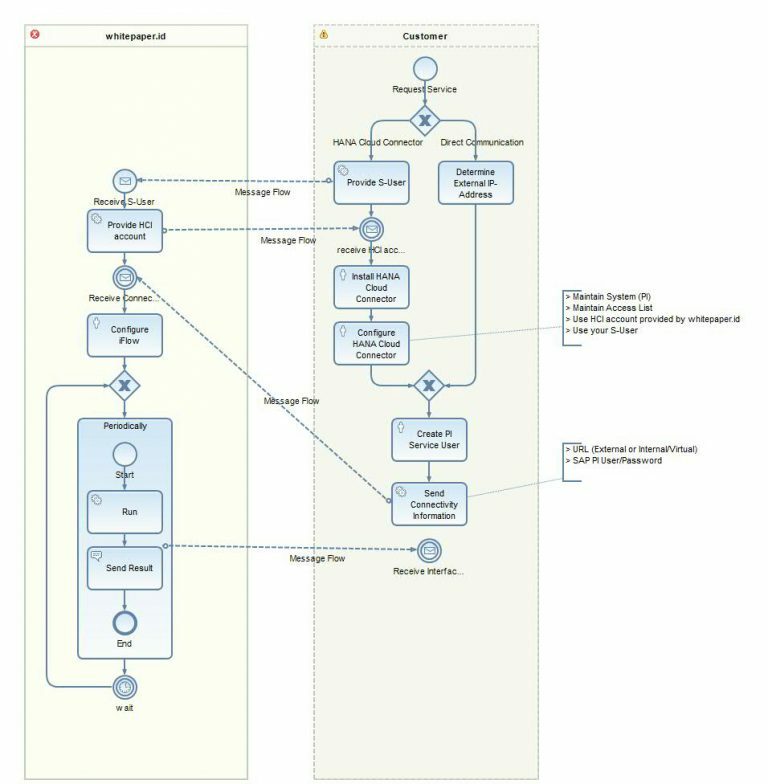 Then you need the WHINT InterfaceCatalog. In case you hesitate installing the solution into your landscape, you can also retrieve this information on demand as a service. In this case, SAP HCI is retrieving the Integration Configuration from your SAP PI/PO system(s) and sends you an E-Mail with the Excel Sheets attached. If your SAP PI/PRO system allows HTTPS inbound communication from the internet (via an external IP-Adress, e.g. 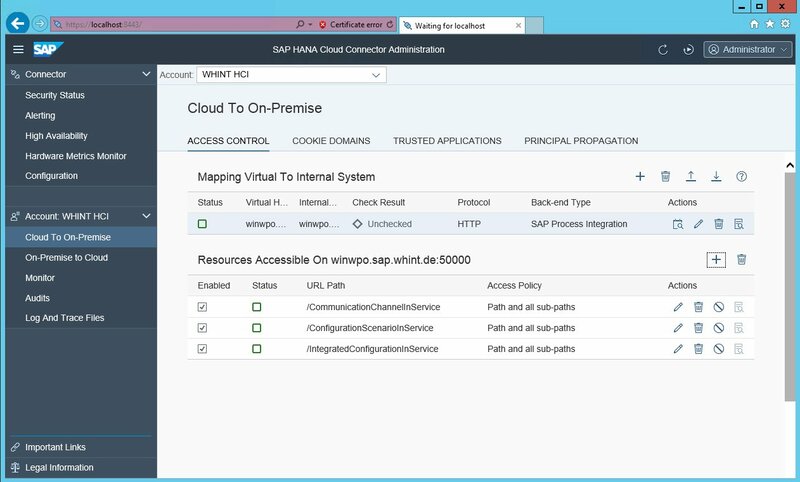 using SAP WebDispatcher and/or a Decentral AdapterEngine), we can start right away. If not, you can make use of the convenient SAP Cloud Connector, which creates a lightweight VPN tunnel from your On-Premise landscape into the SAP Cloud. Please follow the configuration below. 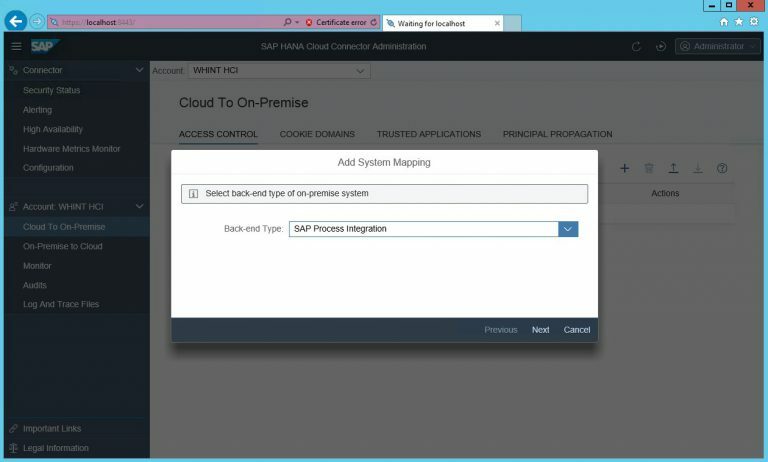 What we need in any case is a service user to access your SAP PI/PRO system (having the roles SAP_XI_API_DISPLAY_J2EE and SAP_XI_APPL_SERV_USER) as well as the URL of your system (externally exposed or the internal host via Cloud Connector).